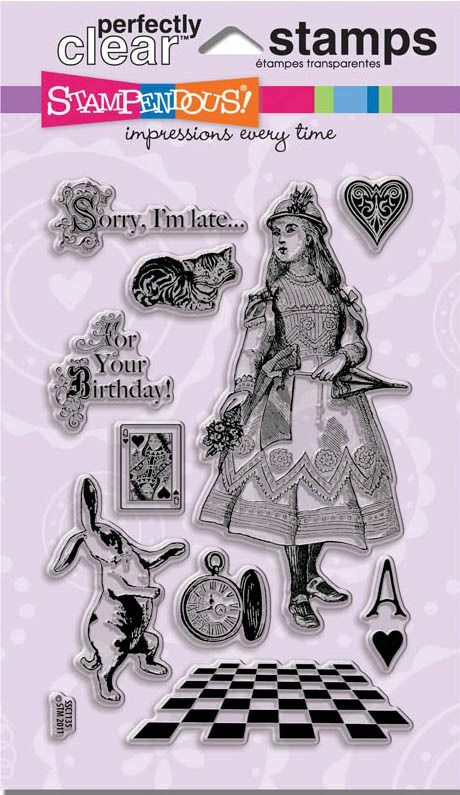 Stamp till U Cramp: The Altered Alice CHAPTER 14: Week 2 Challenge: Splendidly Dressed! 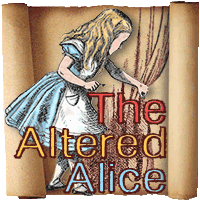 The Altered Alice CHAPTER 14: Week 2 Challenge: Splendidly Dressed! My card this month is farley simple but I like the victrian feel of it. I first stamped Alice on a pale pink card stock, then again on cream. The cream pieces were cut with a Spellbinders die. I used foam tape to pop them up. I used vintage lace along with some embelishments to decorate each square. I find the best vintage lace at yard sales and junk markets. Erin, this is just fantastic! What an elegant and very Splendidly Dressed card! Thanks so much for participating in our Wonderland collaboration! How fabulous! I love what you did with this card. Each little area with a vintage touch. Hope you vaction and your Easter where great. Beautiful! Love the little popped up panels and the tiny embellishments. It's lovely. Great technique, a wonderful card.